Shelley Abraham is the founder and managing director of Physio Fitness, a physiotherapy practice which launched in March 2007. 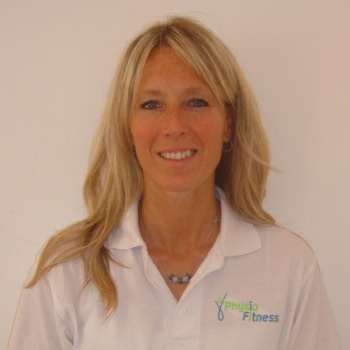 Shelley has been qualified as a chartered physiotherapist since 1994, gaining a Bachelor of Science degree (1994) and a Master of Science in Neuromusculoskeletal physiotherapy (2000). She spent her first six years as a physiotherapist working in the NHS, alongside orthopaedic consultants and rheumatologists, dealing with a variety of conditions. Since then, she has worked in private practice, consolidating and expanding her knowledge and skills through numerous courses. She has worked with many sports clubs over the years, as well as with the British Judo Squad. She is a member of the Cumberland Tennis Club and therefore has a keen interest in tennis players. She also looks after the UCS Old Boys Rugby club. Orthopaedics and sports injuries (working very closely with many consultants/specialists in these fields). Shelley can be contacted for physiotherapy queries any time on 07956 472468 and will always try to advise you on the best course of action if you are considering physiotherapy treatment.